Should high schoolers spend extra time in school and clean their classrooms? In Japanese schools, everyone cleans. Usually at the end of the week, students are given time to clean out the classroom. 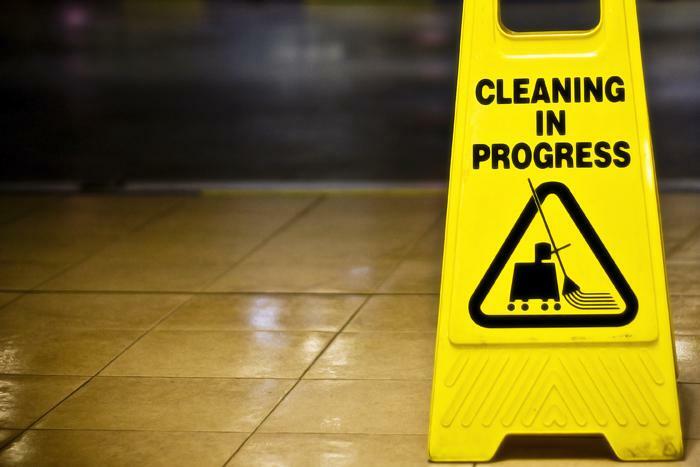 Students are assigned different roles which are switched around amongst the students on a weekly basis: dust sweepers, floor wipers, blackboard cleaners, and the like. The desks are moved to one side, the floor is cleaned, then the desks are all shifted to the other side and the latter half of the room is cleaned. It’s group work, it doesn’t take long, and it keeps things tidy. It is also perhaps one of the few commendable practices that the orthodox, socialized, educational system of Japanese public schools have adopted for decades. Our school is extremely privileged to have cleaning staffs. However, often students tend to abuse these privileges and forget that it is also within their responsibility to keep the school clean and orderly. Pieces of garbage and used cutlery are often left abandoned in corridors, lunch tables, and common rooms, with no hope of rescue. Even though the second law of thermodynamics states that entropy can only increase, and that restoring order in one part of the universe simply causes more overall chaos, those who’ve tried that excuse would know that it really doesn’t work when it comes to the tedious yet somewhat necessary task of room-cleaning. These classrooms are for the students to use and for the students to maintain, and thus it is inevitable for students to be put in charge of cleaning them. The rooms aren’t gonna clean themselves, you know. Transitioning from Middle School to High School definitely requires you to step up your game. Therefore, there is really no time to perform classroom cleaning. Let me put this into perspective. Despite what others say, 9th grade is the time to start inserting qualifications into your blank transcript. Middle School no longer matters. It does not matter that you won a writing competition in Middle School. High School is a clean slate, but also a time to challenge yourself. Of course, taking six AP courses and maintaining a 4.5 GPA are the obvious required academic achievements. Participating in a single activity is no longer good enough. You need to show colleges that you are well-rounded. You need to be the kind of student that can run one mile in seven minutes, debate competitively, and sing in Honor Choir (optional: starting a new club). Of course, you may not want to attend a 5% acceptance rate college in the U.S., but if you do, or feel the pressure to attend such schools, these are the minimum requirements to meet. And these are only the extracurricular activities. Should classroom cleaning be mandatory for high school students? Outside of school, you have to be equally as productive. There is a section of the common app that asks you about the activities you attend after school. The best answer to that question is the hours of charity work you engage in. Charity work is the best way to show universities that you excel in school and are a productive member of the society. Additionally, you are not just a high school student. You are also a teenage girl with a social life. Realistically, you will not be studying six hours a day, forty-two hours a week. Therefore, with all these goals to work towards, do you still think High School students have time to do classroom cleaning?